Connect your device, launch the program and you'll see its main interface as below. The options to backup and restore are both located on your device's home screen. 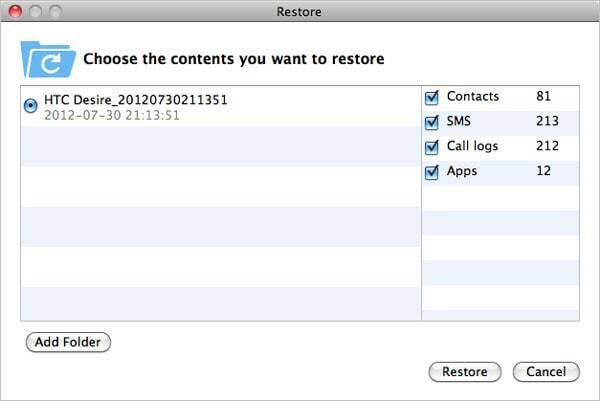 Simply click the option you want to use to backup or restore your phone data. 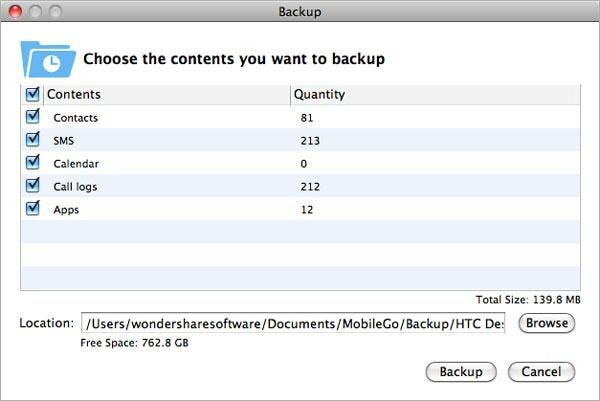 Click the green Backup button and the following Back Up window. Select the contents you want to copy like contacts, SMS, Apps, etc. and choose a folder to save the files by clicking Browse. When all is OK, click Back Up to start the process. It's simply done. Note: When backing up or restoring data, please Do Not disconnect your device. Otherwise, the program will fail to finish the task.